I am a huge lover of face masks, I will happily spend my money on a good quality face mask and some of my favourites are the likes of LUSH fresh masks and Origins Clear Improvement Charcoal mask however I think I have found a new favourite which is not only a brilliant product it's very purse friendly too! 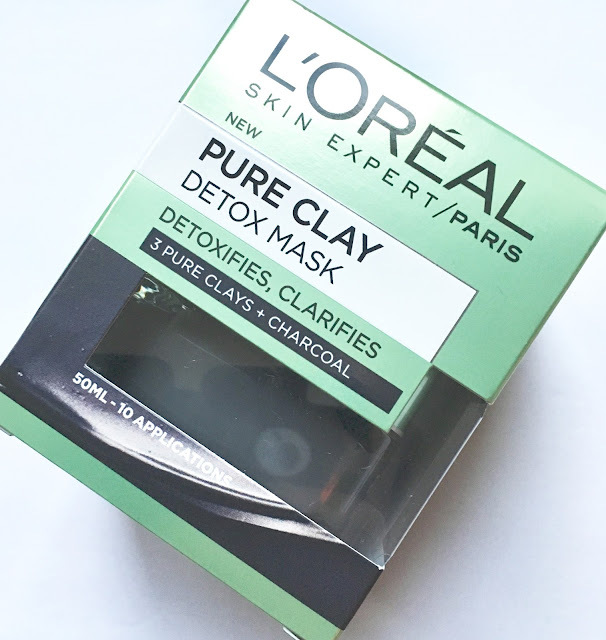 L'Oreal Paris Pure Clay Detox Mask RRP £7.99 for 50ml which is approximately 10 applications (currently £5.99 in Boots stores). "Their latest skincare innovation combines three powerful pure clays to unmask beautiful skin. L'Oreal Paris Pure Clay Detox Mask 50ml is enriched with Black Charcoal which acts like a magnet to draw out impurities. The creamy texture of this deep cleansing face mask detoxifies the skin’s surface and works deep into the pores, leaving the skin looking clarified and beautified. Smooth a layer onto your skin and experience the relaxing fragrances." I tested the mask out this morning and I am very impressed with the results! The way the mask works is that it draws out the oil from your skin and pores and like most clay masks while it is drying it lightens in colour and hardens, if your pores are quite big like mine and you want a thorough cleanse then this mask is for you. The oil is drawn out and you can see that the mask stays in it's original darker shade, which is very interesting to see. I never knew my pores were so deep - the picture below is hideous however I wanted to show you guys what it does! I am not a fan of how hairy I look - but for the purpose of my blog I am happy to share this image with the world - this will come back and haunt me one day! I used a soft facial brush to remove the mask (it is recommended to use a muslin cloth) and my face looked much brighter and my pores look less noticeable. I dread to think how much makeup and dirt clog our pores, even with our vigorous skin care regimes. It is recommended to use the mask once a week and L'Oreal claim you can see an improvement after each use, I can see an improvement after my first use so I am excited to keep using it! The mask comes in a classic glass jar with a screw on lid which keeps it fresh and it looks nice too, always a bonus rather than a messy sachet. I would definitely recommend this for people with deep pores or with oily/combination skin. 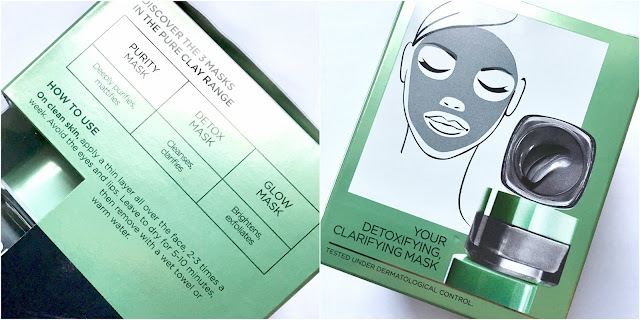 I am not the only one to think this mask is brilliant as out of 919 people who reviewed this product on Feel Unique, 846 people gave it a 4* or 5* review! If you are passing Boots at any point in the near future go and grab yourself a jar as they have £2.00 OFF the RRP! What is your favourite face mask? Have you tried this L'Oreal mask yet? I would love to know your thoughts. Oh this sounds really good. I bought a similar black mask that works just the same! I have to try out this L'Oréal mask because I love a clean face! Thanks for sharing! 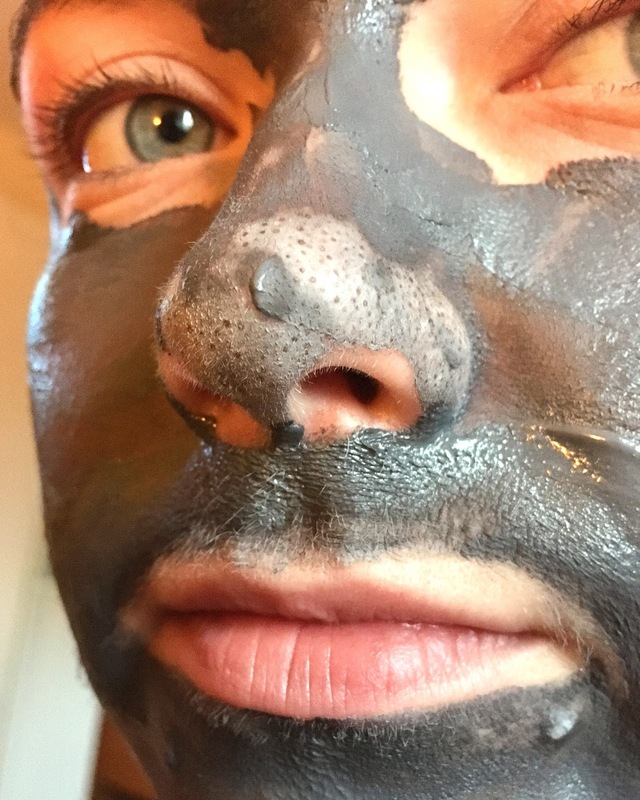 I love a clay mask! 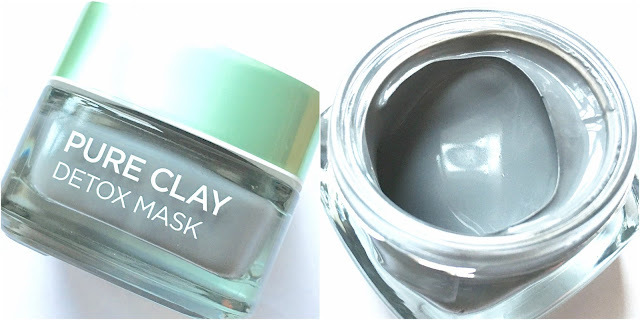 I havent tried this one, but I have a favourite from NSpa that I repurchase over and over! this looks like it works well! I've been in two minds about this mask for awhile. Think I'm convinced!